Summer Registration Packets will be available March 1, 2019 at each site for family enrollment. The Summer Care registration deadline is Friday, April 19. All children successfully registered prior to April 19 will be guaranteed care. Space is limited! We'll do our best to accommodate late adds, but registration packets submitted after April 20 may be turned away based on staffing and space limitations. When ALL necessary paperwork is completed and returned in totality your student(s) will be registered for Summer Care! If something is missing, your spot is not guaranteed until the missing information is turned in. Only take a packet if you are sure you will register for Summer Care. Not sure? Please take the time to review Summer Care information by reading 1) this website page, 2) the Summer Care FAQs posters at each of the 3 School-year Care sites or 3) our Program Director's Summer Care letter to be sent home with all School District 145 elementary school families. If you still have additional questions, our Program Director, Jen Shakespeare, welcomes your phone call! Reach her directly at 402-484-1122. VDP Summer Care operates 11 full weeks during the school-year break. Each of those weeks has a theme that dictates off-site field trips, visiting experts, literature, and overall focus in planning. Check out our 2019 themes! The Viking Discovery Program will venture on 3 off-site field trips during Summer Care 2019. JOIN US! 1) Each week has a theme! Please see above for predetermined themes. Students who use our Program throughout the entire summer will enjoy a wide variety of visiting experts and curriculum. Our Facebook page will have updates on weekly activities pertaining to each theme. Go to facebook.com and like “Viking Discovery Program” with the ship logo. 2) Once per month the Viking Discovery Program will trek off-site for a field trip! Transportation is provided by School District 145. The cost of each field trip is included in the Activity Fee paid at the time of registration. There are many fantastic places to visit! For the summer of 2019 we are considering the East Campus Agronomy Farm, Ice Box, JoYo Theater, Haymarket Park and many more! 3) Two nutritional, USDA-approved snacks and a complete lunch will be served daily. Viking Discovery Program has contracted with local business, KinderBites, to cater in completely fresh, all homemade lunches for the students. KinderBites is approved by the Nebraska Department of Education and the USDA. They have great reviews for their fresh, quality food! Lunch cost is included in tuition fees. 4) Students will have the opportunity to swim at the local public pool during the afternoon hours every week, if weather permits. Supervision to and from local swimming lessons will be provided during two time-slots. We work closely with the pool managers in Eagle and Waverly to determine this time-slot and will get registration details to you as soon as we have them. 5) Due to potential liability issues involved with transporting students to and from other various summer activities and clinics outside of the building in which they attend the Viking Discovery Program, we will not be able to provide any additional transportation services. If your child is enrolled in science camp, etc., you are responsible for the necessary transportation to get him/her to and from camp. Please remember to fill out our Activity Permission Form that allows us to dismiss your child from the Viking Discovery Program to attend said camp. These forms are available at all Program sites. 6) If your child has allergies that require an epipen or inhaler, ask your supervisor for the appropriate medication forms. All families may be asked to fill out additional release forms as needed. 7) We are dependable, affordable and convenient—The RIGHT CHOICE!  Fully licensed by the State of Nebraska, the Viking Discovery Program is operated by the School District 145 Foundation for Education (FFE). 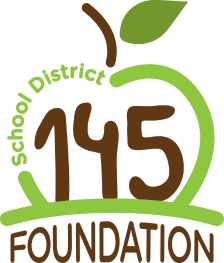 The FFE works with School District 145 teachers and administration to provide educational opportunities that cannot be funded within the annual district budget. The FFE returns 100% of net profits from this Program back to the school district. Tuition rates of the Program are set by the Foundation to be competitive with similar programs, yet affordable to the families that we serve. 8) Registration is simple and quick for parents. You can find the new 2019 Summer Care Registration Packets at any of our care sites beginning March 1. Please Note: 2019-20 kindergarteners will not be able to attend the Viking Discovery Program until the beginning of the 2019 school year. Each site may have a limited number of spaces, so return your Registration Form ASAP!